In the beverage industry, vacuum systems play a very vital role. 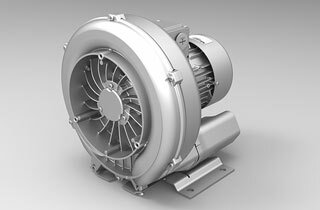 Vacuum systems are not only needed to evacuate air and other contaminants, but also to ensure the product reaches the customer in good quality. The shelf life of the product is also prolonged after vacuuming. The filling and closing machine is mostly applied to products such as sports drinks, juices, bottled water products, alcoholic drinks and nutritional supplements, among others. At Airtech Vacuum incorporated, we offer a wide range of vacuum products which perfectly meets all your requirements for the beverage filling and closing machines. Beverages are typically produced using high speed filling equipment. The main filling machine used for carbonated products is very mature and almost entirely high speed. There are also filling machines used for fresh and pasteurized juices, bottled water, tea and artificial juice that operate at lower ranges of 100bpm or less. At Airtech we do understand that different applications are diverse, so our goal is to meet your requirements for your production by matching your needs with the right filling equipment. Here are the different types of filling machines. Vacuum filler: This filling equipment works with help of a vacuum pump. It starts by drawing a vacuum on an overflow can or bottle and then attaching a long-tube to a filling head and from the head of the product. The product self primes after the bottle neck is sealed and then the product fills to the top level of the vacuum return after the overflow. These types of vacuum fillers work mostly for glass bottles. A common product that uses the vacuum filling machine is nail polish. Gravity filling and closing machines: This machine has an elevated container which holds the product. For this equipment, a vacuum pump is added to pull the product that drips down during the filling process. The filling tubes open once they are inserted into the bottle, the product then flows into the bottle and overflows back into a container where it is collected and pumped back up into the elevated tank. This type of filling machine is mostly used for non-carbonated drinks and water. Counter pressure fillers: These fillers are commonly used for carbonated beverages including beer, soda, and wine. Beer is bottled using these fillers in most cases. The bottles are first flushed with carbon-dioxide and then filled with beer using tube like filler. Before this process is done, evacuation of all oxygen is carried out, which happens with the use of a vacuum pump. Why Choose Airtech Vacuum Incorporated For Filling And Closing Units? 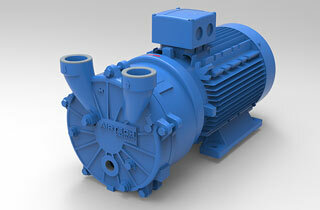 Airtech Vacuum Incorporated has been in the vacuum and air compression technology business for 35 years. We are dedicated to manufacturing and selling high quality and professionally designed vacuums and blower equipment to all our customers. For high performance and design, you can be assured of that and much more. For all your filling and closing machinery needs be sure to contact us. Whether it is equipment you want custom made for your production, or any specific machinery, Airtech Vacuum is here for you. Check out our inventory for stellar filling and closing units and buy from us online today.